Final year Communication, Advertising and Marketing student. Social Media or Social Suicide? I have engaged with most social media platforms at some stage or another, but they never quite did it for me. Facebook seemed like a way for other people keep an eye on me. I didn’t do anything interesting enough to justify an Instagram account and I just didn’t get the point of Twitter. Now, I do have LinkedIn, but seeing as it doesn’t involve posting holiday snaps or getting tangled in heated cyber discussions with your friend’s auntie’s boyfriend, it doesn’t really count. Social media is undoubtedly a fantastic tool to keep in touch with childhood friends or to share pictures with family members living afar. However, it seems strange that some use it to air their dirty laundry, post pictures of their three meals a day, or to voice their inappropriate views. Social media has evolved, and the trends have changed, but the premise remains the same – you can say pretty much whatever you want to a potentially global audience. Comments, posts and hashtags ‘go viral’ and before you can say ‘Instagram filter’ your opinions are being judged by a lot more than your 170 Facebook friends. And now the social media user’s greatest enemy is the screen grab. You can guarantee that no matter how swiftly you deleted something, if you have said something controversial, racist, homophobic or just downright ridiculous, someone out there will have a permanent record of it. And in this hyper-sensitive world, it is taking increasingly less for anyone, anywhere to be outraged about one’s social media content. This year’s ‘I’m a Celebrity, Get Me Out of Here’ was immediately in the headlines for a lot more than gruesome trials and female campmates in bikinis. Jack Maynard, a YouTube star, exited the show after just three days due to social media controversy. Resurfaced tweets from 2011 showed Jack using homophobic and racist language, when he was simply an unknown teenager. Despite the fact that his spokesperson immediately issued an apology and Jack himself has delivered a lengthy expression of regret, it has irreversibly damaged his image and personal brand. He is set to lose out on £20,000 a month through endorsements and his social media following has taken a dramatic dip in the recent weeks too. On a more worrying note, President Trump is a force to be reckoned with when it comes to social media controversy. His Twitter account could be the cause of nuclear war before long. With power comes great responsibility, something the leader of the free world should be given a lesson on, before re-tweeting far-right videos and indulging in playground name-calling with eccentric, but nuclear-equipped, dictators. Organisations, celebrities and politicians are among the many who spend time and money working with the right people to ensure they maintain the best possible public reputation. Public Relations practitioners shed blood, sweat and tears to manage someone’s standing and yet they allow them to have social media, which has the power to undo all their work, instantaneously. I am relieved that I don’t know anyone as controversial as Trump and I don’t bank on seeing any of my peers on Love Island or I’m a Celebrity anytime soon. However, I, along with my classmates, am in the process of looking for graduate jobs and my increasing knowledge of PR would suggest we all need to think before we type. Our social media posts may not be splashed over the front page of ‘The Sun’ but they could be on a potential employer’s radar, with proportionality damaging results. As soon-to-be graduates, our own reputation is one of our greatest assets and we need to manage it carefully. So when it comes to social media; learn from the mistakes of others, take notice of the principles of PR, and most of all, mind your Ps and Qs. Premature Jubilation – Does Christmas come too early? It happened some time ago, and it was less of a shock to me than it should have been. It was a mild evening on Wednesday 25th October and I saw the first house of the year to be decorated for Christmas. I was just getting used to the horror of people adorning their homes with Halloween decorations, especially ones that spring into life themselves if someone within a mile’s radius walks past. I cast my mind back to my own childhood – no matter how incessantly my brothers and I begged; our tree was always put up the Sunday before Christmas and not a day earlier. We knew that once the tree went up we could get properly excited for the festive period, as it was just around the corner. I’m not sure we could have handled the excitement for a solid two months! Nowadays the build-up begins subtly, when menu choices for the greatly anticipated/dreaded work Christmas dinners have to be finalised sometime in mid-August. Not to mention the array of wardrobe choices everyone goes through beforehand… thank goodness ASOS have a free returns policy! Then the panic about presents starts to creep in. Disney on Ice tickets and the latest fad toy aren’t available for long and they certainly don’t come cheap. It seems some parents would rather increase their credit card limit (and heartrate) than see their little ones go without one of the ninety requests on their Santa List. 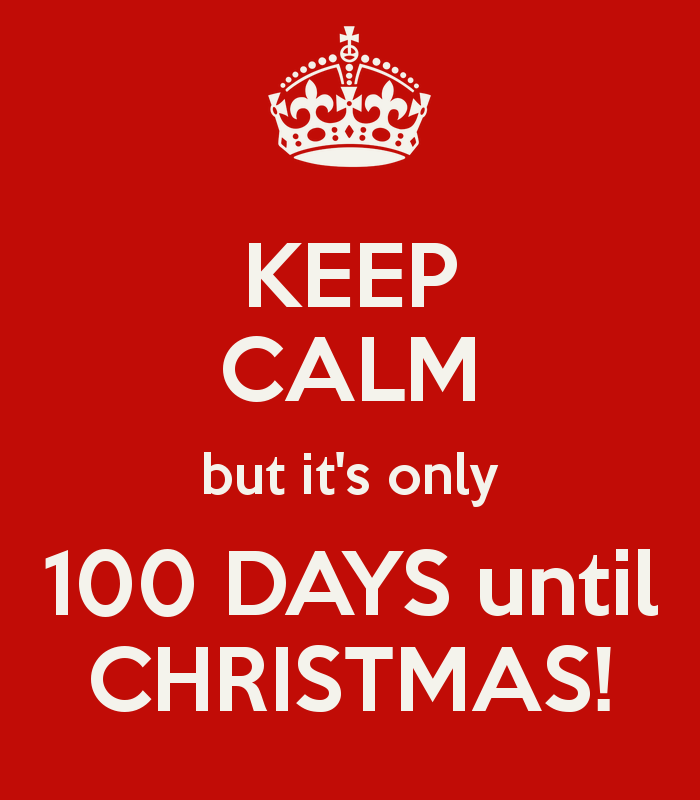 The Telegraph has pointed out that the average household spend at Christmas exceeds £800! The only other day that would cost more than that is a wedding day, but the difference being you don’t plan on having a wedding once a year… presumably. Packages start arriving by the truck load from early November. The familiar look of worry that flashes across the face of the receiver as they open the packaging. What if the unthinkable has happened? They have got the wrong delivery! Even more nerve-wracking is when the delivery possibly won’t arrive on time, because everyone knows that a present that arrives after Christmas is just as bad as not getting a present at all. It impacts our working lives too. I work as a beauty therapist and December appointments were booked up before I started back into final year. We are even open seven days a week for the month of December (including Christmas Eve) to ensure no one misses out on looking their best for Christmas. Personally, I am of the opinion that it’s our Christmas too and clients should get organised or get lost, but the owner has a slightly different view. We haven’t even had 2017’s Christmas and they are already talking about next year’s! It may be business but it is exhausting. Then to really round off the festive period, we have Boxing Day sales, just in case we didn’t get enough the day before, we can run out immediately to treat ourselves some more. Or maybe we simply shouldn’t have to wait to return the presents that someone has painstakingly chosen for us. Now don’t get me wrong, I wouldn’t consider myself to be a scrooge by any means; I enjoy singing along to Mariah Carey’s ‘All I Want for Christmas’ after a few mulled wines and lighting a spiced orange candle as much as the next person. But when did the festivities become so prolonged and etched with pressure and panic? It’s not realistic to say that Christmas in 2017 should be completely un-commercialised. But it would do no harm to remember that, if we are lucky, it is first and foremost a time to spend with people we love. Even if the day wouldn’t be complete without an argument or two. But anyway, let me finish by wishing you all a Merry Christmas and in case I don’t see you… Happy 2019!